Aiming toward a zero waste Easter this year? Since their development in early 19th century France and Germany, chocolate Easter eggs have quickly become seasonal bestsellers. 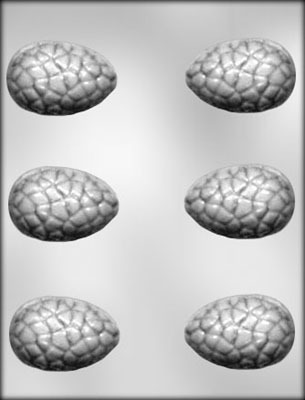 In Italy, 40 million eggs equalling 6.848 tons of chocolate were consumed in 2010. As the chocolate egg has since its first appearance developed from the simple type wrapped in paper to the beribboned variety wrapped in brightest foil and packed in a box or basket, it leads to vast amounts of packaging waste. Approximately 4.370 tonnes of card and 160 tonnes of foil waste are generated in the UK during the holiday every year. Most of the plastic packaging used is not recyclable yet, which means it ends up in landfills. That’s a lot of waste and whilst there have been improvements in the recyclability of packaging since the article was written, it is fair to say that just because packaging can be recycled does not mean that it is being recycled. 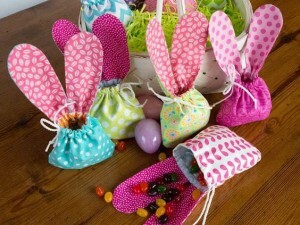 With a little creativity, you can turn this Easter in a low or no waste event! How about a refillable reusable Easter egg? 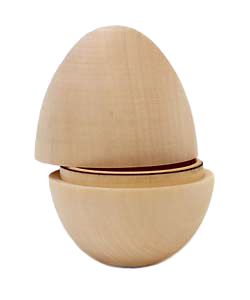 Hollow wooden eggs such as the ones offered at Wasteless Pantry are a blank canvas waiting to be decorated! Fill with lollies, chocolates, flavoured almonds, sweet Easter wishes or money if that’s your preference. Blank Goods have a great inspiration page to get your creativity flowing. 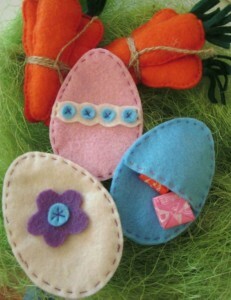 Make your own felt egg shaped gift bag or what about a fabric bunny basket? Make your own chocolate Easter treats! 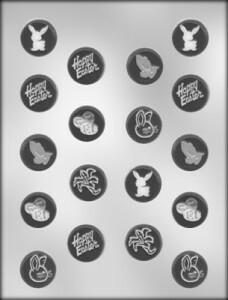 We have Easter molds and chocolate buttons (white, milk or dark depending on your preference) ready to be melted into your own handmade Easter treats. 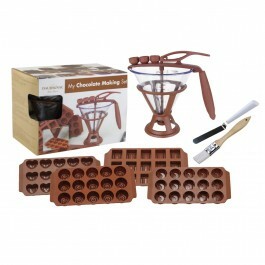 And if you want to try your hand at making your own chocolates from scratch, we have those ingredients on hand too. Step 2: Mix melted butter with sifted cacao powder and icing sugar, incorporating other fillings if used. Place in mold and allow to set in the fridge. Done! Plus it is dairy free (making it vegan) and gluten free chocolate! Perfect for making Easter and other treats all year round. So while all the rest are cleaning up the commercialised rubbish, you can sit back and indulge in a heart felt and personal Easter celebration befitting the spirit of this time of year. I lOVE those little wooden eggs! I am definitely coming in to purchase some for my family 🙂 Thank you wonderful ladies. Absolutely love all these ideas! 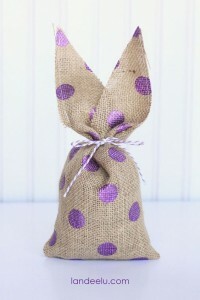 Will definitely be making some bunny bags and I also love the wooden egg idea too.